Breezy is a porcelain doll from 1996. 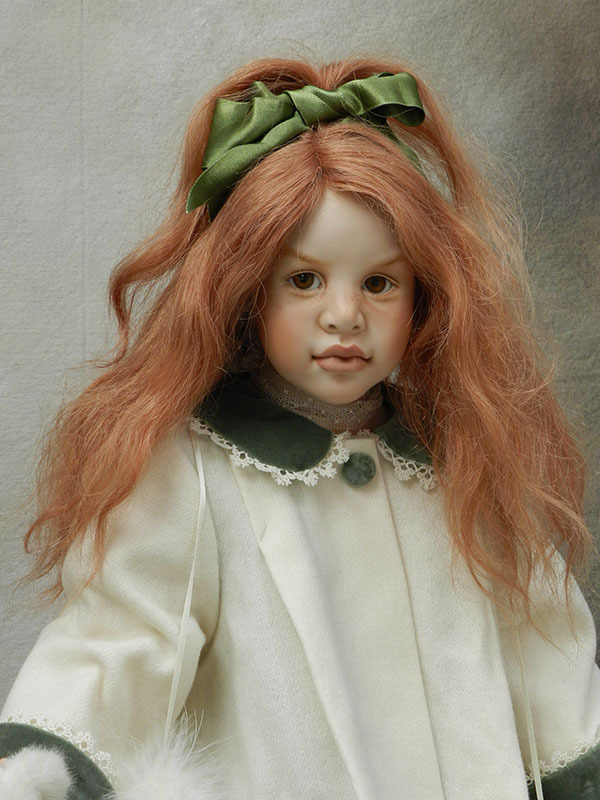 This beautiful red head wears a cream wool, coat trimmed with green velvet to match her skirt. 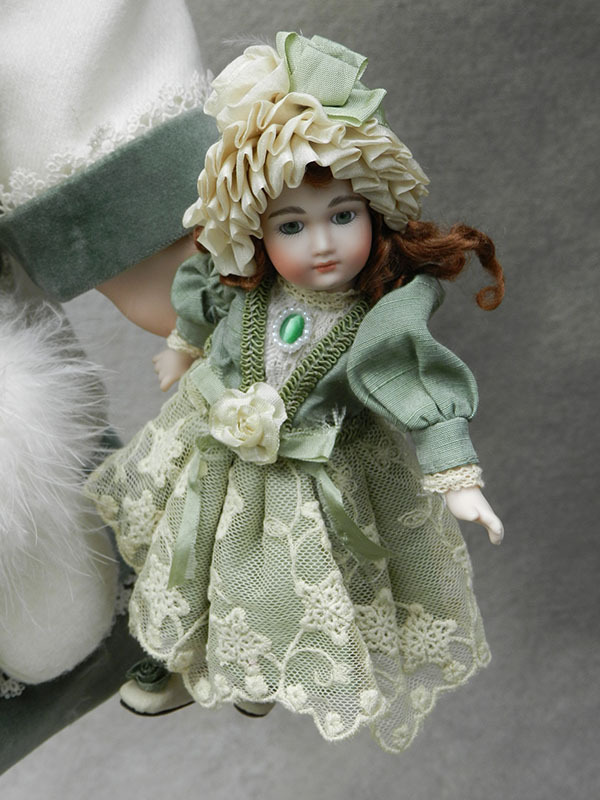 She wears white leather lace-up boots, she carries a miniature bear and an antique reproduction dolls.